The earthquakes are small (below mag. 3) and located at 5-10 km depth. While the quakes could be related to magmatic intrusions, they more likely represent aftershocks from April's twin M6 earthquakes. This regression corresponds to a drop in lake level by 40 cm, but could also be a result of uplift of this area by the same amount. The latter seems a more plausible explanation, given that it appears that the lake shore only regressed in this area. 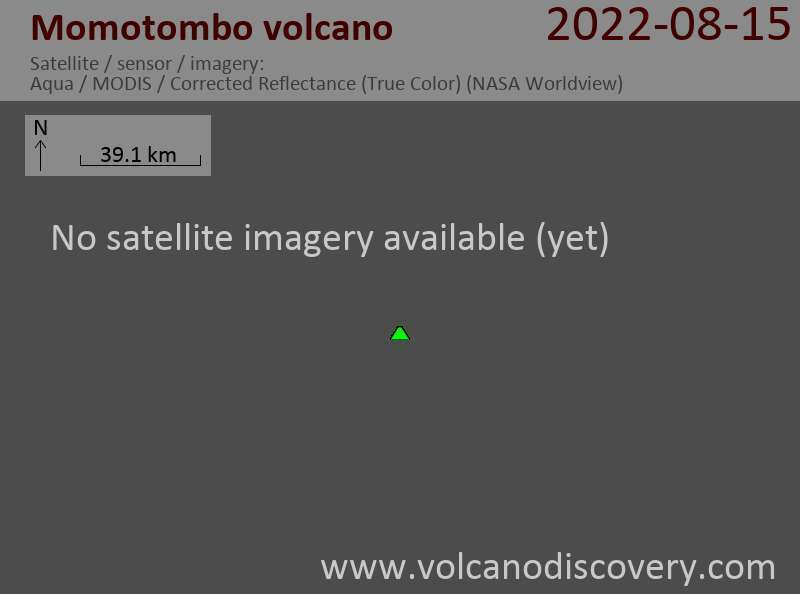 There are no reports of unusual activity at either volcano. The quakes are probably tectonic in origin, and INETER has not reported any unusual activity at the volcanoes. On the other hand, earthquakes of this size could disturb the plumbing system of the volcanoes and potentially help trigger new activity.